In the midst of all our family bonding I was able to finish my scrappy bow tie quilt. I am pretty sure it has been a WIP for close to 2 years. Most of the blocks were from a swap I participated in way back when. 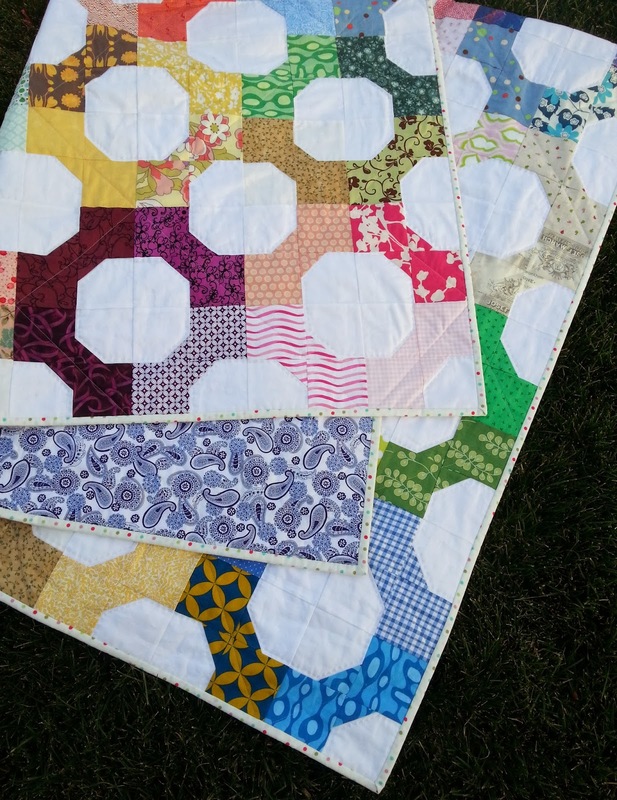 At some point in time I convinced myself that hand quilting this thing would be a good idea. 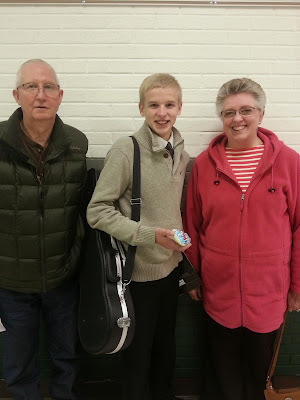 I'm happy to say I did it, but it was a slow process, of which I still need LOTS of practice. (The galloping horse method would come in handy here.) I also did some simple machine quilting thru the each block to ensure it would get finished in my lifetime. I actually really like the mix of the two methods. After finishing the quilt my mom said she might like to have it, and was even willing to pay me for it, but taking money from your own mother seemed a bit weird, so instead I just gave it to her! My dad, who is always cold, was happy to have a blanket long enough to cover his toes. With that I'll leave you with my favorite picture from their visit! read beside him. It really was adorable! 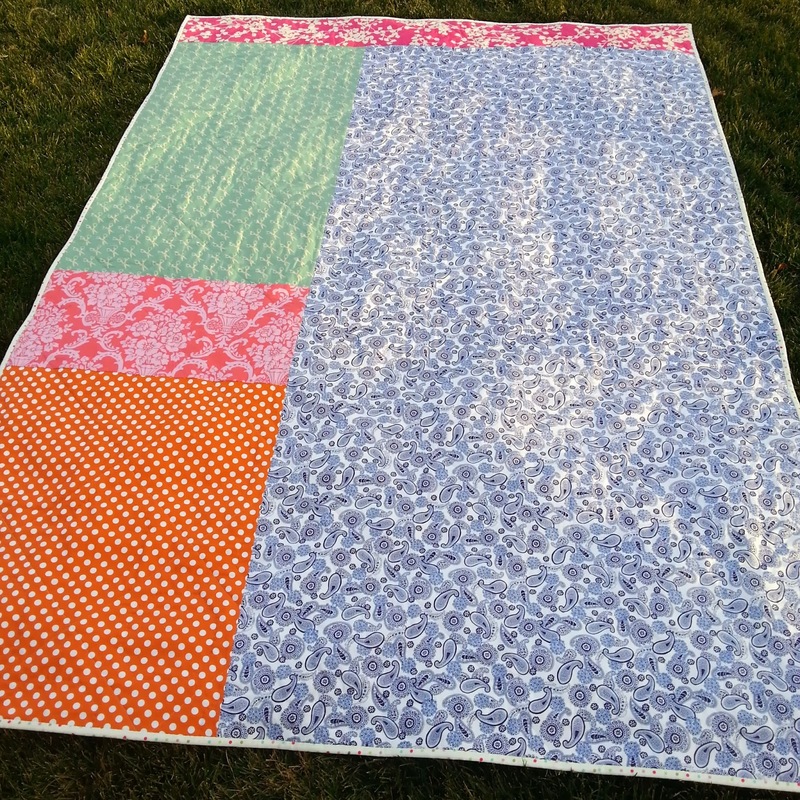 Quilt Finishes around 60" by 72". Cute pics of the parents too. Can't wait for them to come see us. Proud of you for hand-quilting! I always dread it when I start, but by the end I'm happy that I took the time. By the way, I think we inadvertently met a Sewing Summit, but I didn't realize this was your blog. It was great to meet you! Loving your Pinterest blocks. 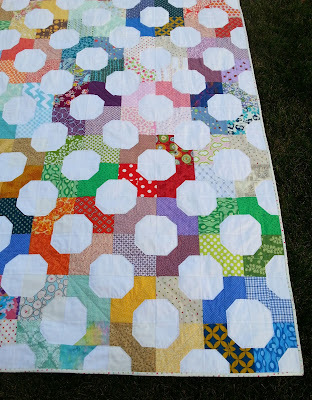 I love the colourful quality of this quilt - very fun!!! 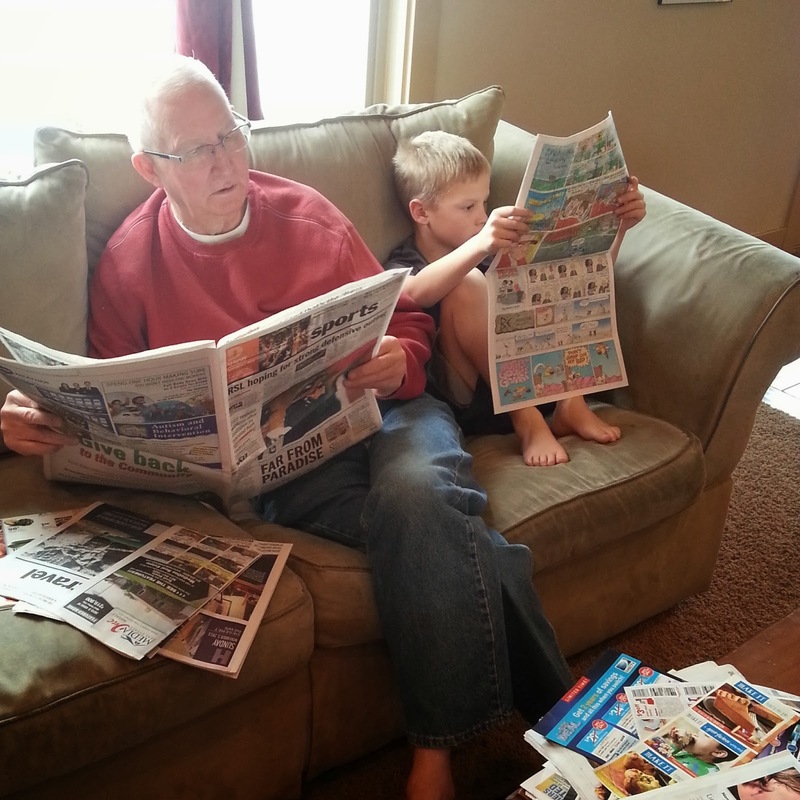 And oh my - the pic of your father and son reading the paper is just pure love. Totally adorable! That last picture is priceless...what wonderful memories are being made there!